Nigeria’s finest kid artiste and 2015 NMVA nominee, ozzyBee a.k.a OzzyBosco WonderKid has been invited as one of the participants for this seasons Britain’s Got Talent (BGT). Interestingly, the kid dynamite has been scheduled to go on stage this weekend, December 6, 2015 to be precise in Manchester Central, Manchester England. It will be the competition’s 10th year anniversary edition. With this development, ozzyBee becomes the first Nigerian breed kid to be invited by the prestigious BGT and he will be testing his musical prowess alongside other talented acts from across the world. 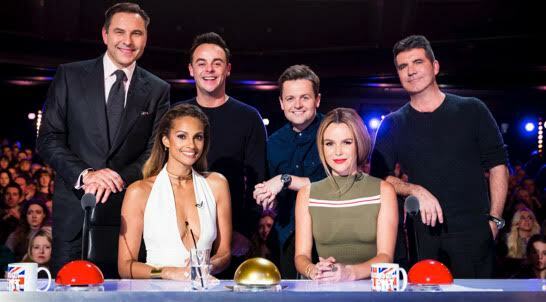 The reality show will feature world acclaimed personalities such as Simon Cowell, Alesha Dixon, Amanda Holden, David Walliams, David Hasselhoff, Michael McIntyre, among others as judges. As you read this, ozzyBee and his team are already in London, England ahead of the event and the star kid is looking forward to dazzling the crowd with his soul-lifting new single “SMILE AGAIN” which he dedicates to the Internally Displaced Children in Nigeria. All the best to him, as he flags high the colour of Nigeria and also representing the entire Nigerian kids far away in the United Kingdom. You can watch the video to his amazing song “Smile Again” directed by Moe Musa below incase you missed out on it earlier.